Methamphetamine (d-methamphetamine, crystal meth, or meth) is a man-made central nervous system stimulant. The substance often appears as bluish-tinted or white rocks or pieces of glass. It is most commonly smoked or snorted, and it is manufactured in private home laboratories using pseudoephedrine or ephedrine along with other substances that can be purchased at drugstores or hardware stores. The National Institute on Drug Abuse (NIDA) and the United States Drug Enforcement Administration (DEA) report that meth is a highly addictive substance, and its use is associated with a number of severe consequences. The mechanism of action of the drug is similar to other stimulants, in that its consumption results in massive releases of the neurotransmitters norepinephrine and dopamine (along with other neurotransmitters) that lead to a number of extremely powerful euphoric effects, increases in energy, feelings of invulnerability, and other psychoactive effects. Because the substance is often made with a number of other substances that are potentially toxic, such as antifreeze, battery acid, or drain cleaner, it is both dangerous to use and highly combustible, making it dangerous to manufacture. Research regarding the short-term and long-term effects of methamphetamine use indicates that there are a number of significant potential dangers associated with its use, including significant neurological effects. 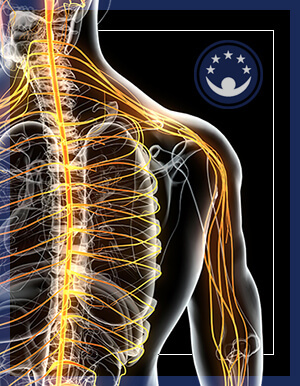 The central nervous system (CNS) is composed of the brain and spinal cord. It serves as the major relay station for the body and is involved in the actions, regulation, and maintenance of nearly every bodily function. Research looking at the effects of methamphetamine focus primarily on the effects that occur in the brain; however, some of these effects can also be expected to generalize to neurons located in the spinal cord. The nerves located in the CNS are referred to as neurons, whereas the nerves outside the CNS are simply referred to as nerves. Neurons are not the only cells in the CNS. A number of other cells generally referred to as glial cells also comprise the central nervous system. These cells have a number of responsibilities, including signaling capacities, fighting infection, developing myelin (the fatty sheath or white matter that neurons used to effectively communicate), etc. The use of methamphetamine has also been associated with increased damage and death to these cells in a number of brain areas, particularly in the prefrontal cortex where a number of important functions, such as attention, planning, abstract thinking, judgment, etc., occur. In addition, methamphetamine use is associated with a decrease in the production of glial progenitor cells, which are immature glial cells that differentiate into different types of glial cells. As certain glial cells (oligodendrocytes and Schwann cells) become damaged and the ability to produce myelin is affected in both the brain and spinal cord, the amount of white matter in the CNS is decreased. White matter (myelin) aids in efficient singling between neurons in the CNS. White matter is located on the axons (signaling portions) of the neurons, and as this matter is decreased, neurons become less efficient in transmitting their signals. This results in a number of functional deficits. Dopamine and serotonin transporters are specialized cells in the CNS that function to remove the dopamine and serotonin that have been released from the neurons into the synaptic cleft (the space between neurons) and bring them back into the cell where they can be repackaged for reuse. This partially results in the psychoactive effects of meth, but also leads to later dopamine and serotonin depletion because the neurons have less dopamine to use later. This can result in a number of extreme mood effects, such as initial extreme euphoria followed by extreme periods of depression, apathy, and hopelessness. Increases in the neurotransmitter glutamate (the major excitatory neurotransmitter in the brain) and calcium are often associated with neurotoxic effects in the brain as a result of the neurons being overly excited and continuing to fire to the point of actually damaging the system. If not modulated, this can result in significant damage throughout the central nervous system. A number of these neurotoxic effects lead to significant damage in the dendrites of neurons. The dendrites of neurons are the receiving portions of the neurons that receive the chemical singles from other neurons. This damage prevents the neurons from communicating effectively and can affect a number of cognitive and motor functions. The support system in the cells is also damaged by use of methamphetamine. This can result in cellular collapse if the support structures are significantly damaged. Use of methamphetamine also affects the veins, arteries, and capillaries in the central nervous system via issues associated with increased blood pressure, weakening veins and arteries, leaving them open to clots, and scarring them. This results in an increased potential for an individual to have a stroke.Strokes in the central nervous system are often classified as ischemic or hemorrhagic. Ischemic strokes occur as a result of depletion of blood to certain areas of the brain and the accumulation of damage to the tissues as a result of depleted oxygen over time. This situation is a chronic one and often associated with permanent effects. Hemorrhagic strokes occur as a result of the breaking of an artery or vein in the brain and the resulting reduction in blood flow to the tissues of the brain. Hemorrhagic strokes are typically more acute, and recovery from hemorrhagic strokes is generally more robust than recovery from ischemic strokes. Both ischemic strokes and hemorrhagic strokes can develop as a result of chronic methamphetamine abuse. This presents an extremely complicated issue. Individuals who abuse drugs like methamphetamine are often at greater risk to have accidents or become involved in assaults that lead to traumatic brain injuries. Of course, having the combination of a traumatic brain injury and a chronic history of methamphetamine abuse will result in a number of potentially serious neurological issues. Some of the above effects may resolve, and there may be some improvement over time. For example, research indicates that damage to the dopamine transporter system may repair over time with significant abstinence. However, the loss of neurons in the CNS cannot be fully recovered. The CNS may recover some partial functions that are significantly lost due to a mechanism known as neural plasticity (the ability of the neurons and other structures in the brain to alter and extend their functions due to extreme injuries, as significant environmental stimulation forces the remaining neurons in the brain to assume other functions). However, this function is limited, and there is quite a bit of individual variability that occurs in the recovery process. Individuals who have chronically abused methamphetamine for significant periods of time may suffer a number of permanent neurological and cognitive effects. The term attention is a broad term that encompasses a number of functions, some of them very subtly complicated. Various aspects of attention and concentration are affected by chronic use of methamphetamine as a result of damage that occurs to the neurons in the frontal and prefrontal cortex of the brain. Chronic issues with being able to focus, switch focus, and concentrate for lengthy periods of time often remain even after significant abstinence. Like attention the terms judgment and problem–solving are general labels for a number of different cognitive functions, some of which are very complex and occur in multiple steps. 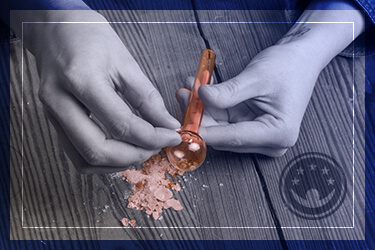 The damage that occurs as a result of meth abuse affects the ability of the individual to suppress impulses, and this may lead to poor judgment and problem-solving. The extent of this dysfunction will vary from individual to individual. Some individuals may become rather impulsive and need quite a bit of assistance initially in controlling their behavior, whereas others may have more subtle deficits. Research studies have demonstrated that the ability to encode and recall information is significantly decreased in both animals and humans following chronic methamphetamine abuse. The damage that occurs to a number of the neurons in white matter tracts in the brain is also associated with changes in motor functions, including reaction time, coordination in very subtle and complex skills, and very basic functions, such as walking. Related to issues with impulse control is a person’s ability to self-regulate and control emotional states and/or their actual experience of emotions. Individuals who have chronically abused methamphetamine demonstrate any number of emotional issues that can mood swings, chronic depression, chronic apathy, a loss of motivation, issues with aggression, hostility, irritability, and even self-harming and/or suicidal behaviors. This reflects both the depletion of neurotransmitters and the structural damage that occurs as a result of chronic methamphetamine abuse. Individuals who chronically abuse methamphetamine are more susceptible to the development of severe psychiatric disorders, including issues with psychotic-like behaviors, such as delusions, hallucinations, impaired reality testing, etc. Some of these psychotic-like behaviors can be rather idiosyncratic. For example, the term meth bugs refers to a psychiatric condition where chronic methamphetamine users have a sensation that their skin is crawling or itching with bugs even though no external stimulation is occurring. This condition will often remit but may return spontaneously in some individuals. Individuals who enter a formal substance use disorder treatment program and are successful in maintaining abstinence often recover some level of functioning; however, in many cases, significant residual effects remain. Research indicates that there is quite a bit of variability in recovery that is often related to a number of personal variables as well as the length and seriousness of an individual’s use of methamphetamine. Individuals who have pre-existing mental health conditions and have abused methamphetamine for lengthy periods of time, resulting in prolonged binges and a lack of attention to self-care, will obviously accrue more damage to the brain and central nervous system compared to individuals who use the drug for shorter or less intense periods or those who have fewer psychiatric issues. It is clear from the research that methamphetamine is a significant drug of abuse that has the potential to produce lasting effects in anyone who abuses it.